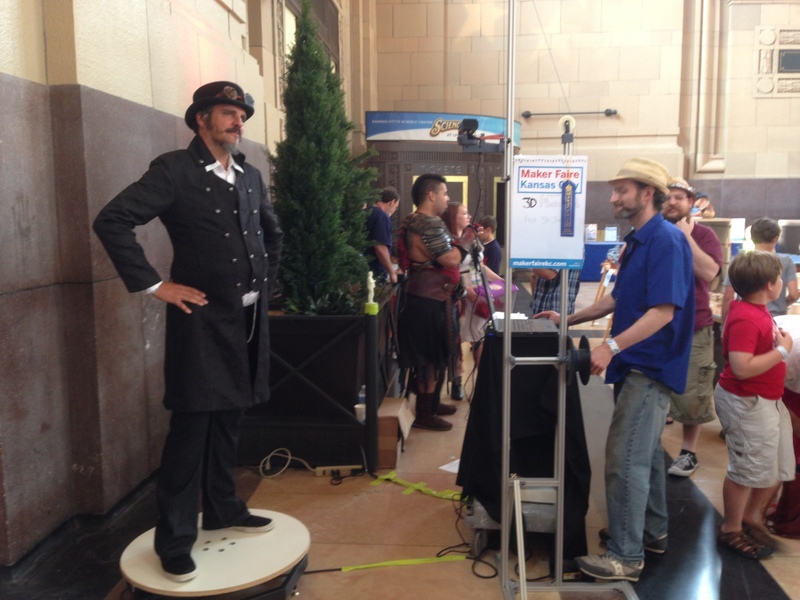 John of MakerShed getting scanned at Maker Faire KC 2015. The 3D Photobooth got a last minute opportunity to participate in Maker Faire (Thanks to Luis Rodriguez and the MCC FabLab) We scanned over 100 people, and earned a “Maker of Merit” ribbon! The scans are posted on SketchFab under the3DPhotobooth.